From the outer limits of space comes a fuzz that has gone where no fuzz has gone before..... Well... Maybe not from the outer limits of space but you get the picture. It comes equipped with a volume and fuzz knob as well as a gate toggle than when activated makes every note seem to crush underneath your picking technique. Listen to Switchfoot’s “Mess of Me” or “The Sound” and hear how rich but yet violent this fuzz can be. 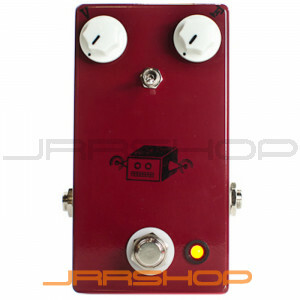 Out of this world fuzz with down to earth controls.